A group of 30 Malaysian medical organisations today expressed their support towards Health Ministry’s plan to gazette smoking ban in restaurants. In an open letter today, the group said this will solve one of their major concern where many non-smokers suffer numerous illness as a result of second-hand smoke. “Second-hand smoke contains more than 7000 chemicals, of which many causes cancer. 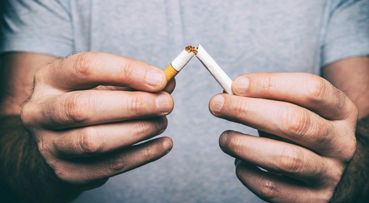 “Studies have shown that it causes premature heart disease and lung cancer amongst non-smokers and even leads to strokes,” it said in an open letter signed by all 30 medical organisations. The group said the effects are particularly felt by women and children, who are often at the mercy of smokers and are unable to voice out their concerns. “For example, second-hand smoke leads to more frequent and severe asthma attacks, respiratory infections and ear infections. “It also increases the risk of premature birth, low birth weight, birth defects and sudden infant death syndrome,” it added. The group said, by implementing measures to reduce the impact of second-hand smoking, the government will go a long way in reducing the nation’s healthcare costs whilst increasing the well-being of the rakyat. On September 6, the Ministry of Health has announced that all open-air restaurants will be gazetted as non-smoking areas from December as part of the ministry’s initiatives to protect public from dangers of cigarette smoke. Malaysia has signed and ratified the World Health Organisation’s Framework Convention on Tobacco Control under Article 8.